YAMA, an over 60s dance performance company, is the winner of the Cosyfeet Community Award for Somerset. The award will be used to help fund transport to dance events around the country. 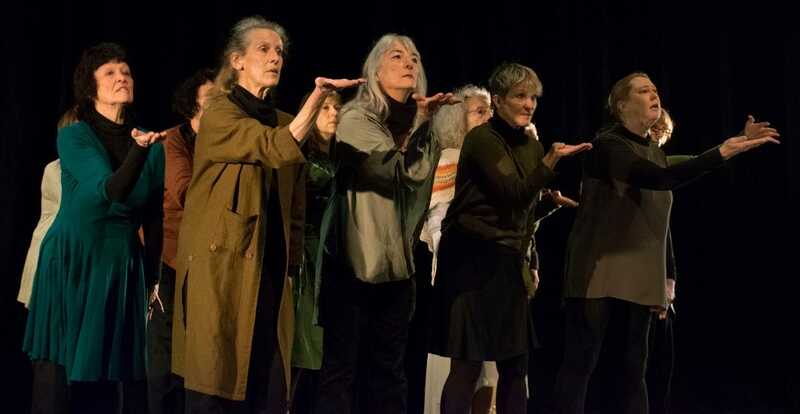 YAMA, an over 60s dance performance company based in Bath, is this year’s winner of the Cosyfeet Community Award for Somerset. The £500 award will be used to help fund transport to dance events around the country. YAMA Dance attracts a range of members in their 60s and 70s who either danced in their youth or who are learning to dance for the first time. This highly successful group was established to fill an opportunity gap for mature dancers. It recognises that dance is not just about keeping fit. It’s about vibrant social interaction and maintaining a strong sense of wellbeing. Supported by Bath Dance and the Institute of Contemporary Interdisciplinary Arts (ICIA), the company’s Artistic Director is Anna Heighway. YAMA Dance has 35 members and meets weekly at the Bath University dance studio. New members are always welcome. For more information, email fleur@bathdance.net. Thankyou, Cosyfeet. Yama was able to perform at Pavilion Dance South West's Joie de Vivre Festival in Bournemouth alongside six other Companies of mature dancers from across the U.K.